Bilateral defense consultations of the Republic of Serbia with the State of Israel were held from 17-20th January 2016. Head of the Serbian delegation was Captain Milan Konjikovac . 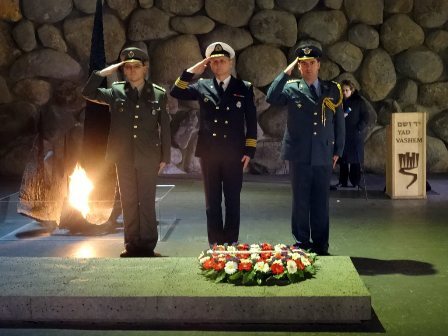 The delegation comprising Captain Milan Konjikovac, Colonel Predrag Kostic and Lieutenant Colonel Branko Misic laid a wreath on January 19th, at the Memorial Centre Yad Vashem, in memory of Holocaust victims.